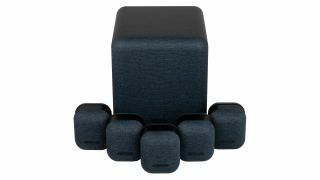 Monitor Audio has launched the second-generation version of its compact 5.1 home cinema speaker package, MASS. good news for those after true surround sound, no doubt. This system, which should come as good news for those who are after true surround sound but are tight on space and budget, comprises five satellite speakers and a subwoofer. Optional bespoke stands and wall mounts are available to buy separately, too. The MASS Satellites are two-way speakers with 9cm mid/bass drivers (with Metal Matrix Polymer cone technology) that sit just above 19mm soft dome tweeters. The MASS Subwoofer, meanwhile, features a 20cm long-throw driver (also with a Metal Matrix Polymer cone), driven by a 120-watt Class D amplifier. Logically optimised to crossover with the MASS Satellite, the sub utilises DSP and advanced limiters for greater control over bass response, with three pre-set modes (Music, Movie and Impact) providing some means of sonic customisation. It is unclear when this unit will reach south Africa but we are hoping this will reach before the year end. This entry was posted in Blog and tagged Monitor Audio Mass.